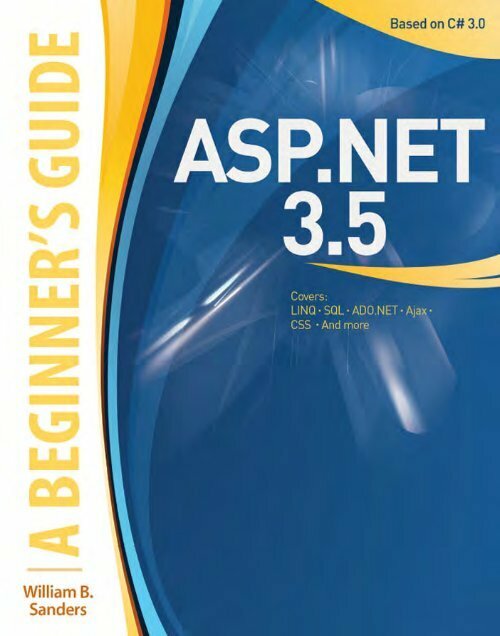 Chapter 1: Introduction to ASP.NET 3.5 15Ask the ExpertQ: Why are ASP.NET and C# developed in separate windows if they are part of thesame program? Aren’t most programs developed in a single file?A: ASP.NET is a set of forms and controls, while C# is a dynamic language that communicatesnot only with ASP.NET but also with databases and outside links. Think of the separationas you would an automobile. The car without the engine focuses on the arrangement ofseats and the different controls that make a car ready to be used for transportation. Thatis the ASP.NET aspect of the code behind. The car’s engine is what makes it go. It is adifferent element than the car’s body and takes a different kind of thinking to work on it.Nevertheless, the engine interacts with the car body and responds to its controls. C# is likethe engine, and by keeping it separate during development, you can clearly focus on whatyou want it to do.your own computer and use it on your LAN. Depending on the version of Windows Vistathat you have, you may or may not have IIS7 available to you, and if you do not, you canupgrade your version of Windows Vista. The following steps show how to do this:1. Go to Start | Control Panel.2. In the Control Panel select Programs.3. When the Programs window appears, under Programs And Features select TurnWindows Features On Or Off. A User Account Control window appears. (These stepsare slightly different on Windows Vista Ultimate.)4. Click the Continue button. You will see a “please wait” notice. Wait until you see thecheck boxes and their folders as shown in Figure 1-6.5. Expand Internet Information Services | World Wide Web Services | ApplicationDevelopment Features. Check the .NET Extensibility, ASP.NET, ISAPI Extensions, andISAPI Filters boxes as shown in Figure 1-7.6. Once you’ve checked all of the options indicated, click the OK button. You’ll have towait while all of the changes are made to your system.7. To make sure it is installed correctly, open your browser (Internet Explorer, Firefox,or any current browser will work fine).  Type http://localhost/ in the URL windowon your browser. Figure 1-8 shows what you will see if the IIS7 installation workedsuccessfully. Page 16 and 17: Contents xv17 ASP.NET Ajax . . . .
Chapter 4Doing More withC# and ASP. Chapter 9: Validation Controls 239.